Exclusive! 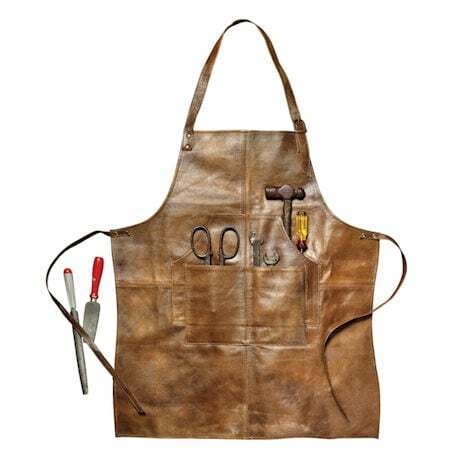 Genuine brown leather provides the ultimate protection and durability in this handsome, hand-crafted workshop apron. 4 front pockets for tools, notes, and materials you need close at hand whether you're tending to machinery, the grill or the cocktail bar. Adjustable neck strap (29" long) easy waist-tie, one size fits most. 29"h x 25"w. Imported. Tools not included.